I always use this interdental brush. It is a drawback that it is easy to break, but I am using it because the interdental space becomes clean. This review is about item#89861222. Interdental care of one week. It is told that a dentist should have a firm tooth cleaning because it seems to be refractory to the alveolar pyorrhea, and this is a relief for this. 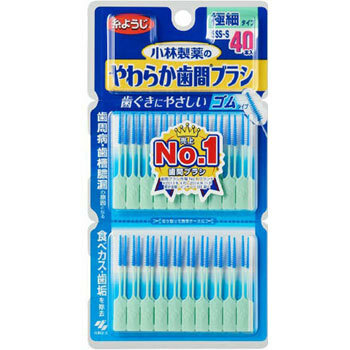 I am using it for regular interdental cleaning. Unfortunately it seemed a bit tight between my teeth. This review is about item#89861195. I want me to improve it because it can break soon if I do not pay attention to how to use around the middle.